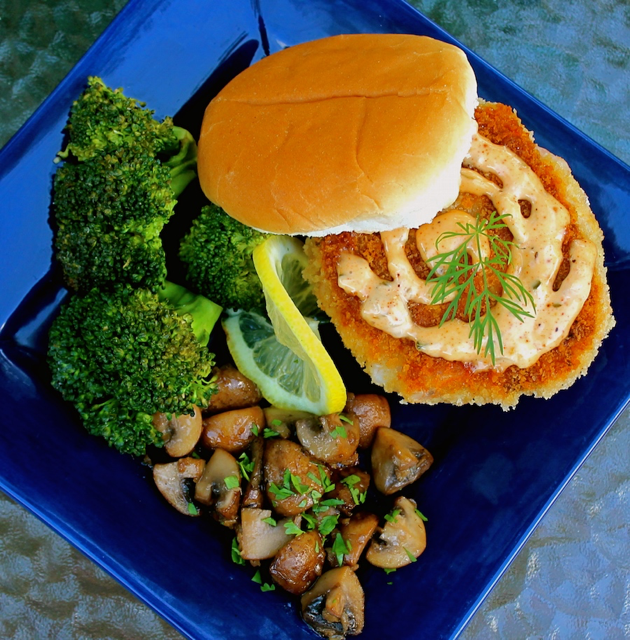 Move over fish sandwich, these crispy shrimp burgers are what we crave! And you will, too once you’ve gotten your hands on one. They’re surprisingly scrumptious and super easy to make. I was introduced to these crazy delicious burgers last summer. A local fish shop, Afishionados makes them fresh and sells them, ready to cook. Though I didn’t acquire the original recipe, I took my best shot at it and these are pretty darn close. 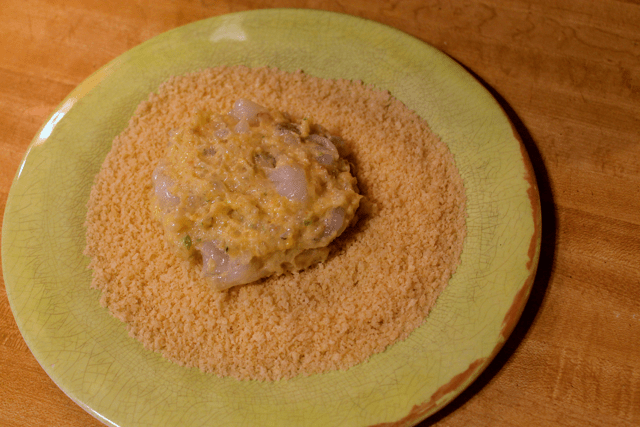 The trick to getting the burgers to shape up is to grind half the shrimp in a food processor. They turn into a glue-like paste that holds on to the rest of the shrimp. To get them all crispity crunchy, they’re coated in panko breading and then fried. 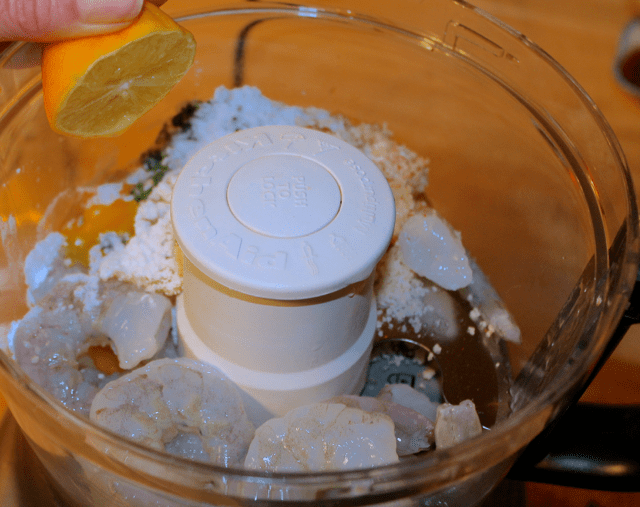 To get started, you’ll need a pound and a half of peeled and deveined shrimp divided. Chop half of the shrimp roughly. The other half will go in a food processor. You’ll add an egg, flour, panko breadcrumbs, salt, chopped green onion and a bit of cayenne pepper to the food processor with the shrimp. 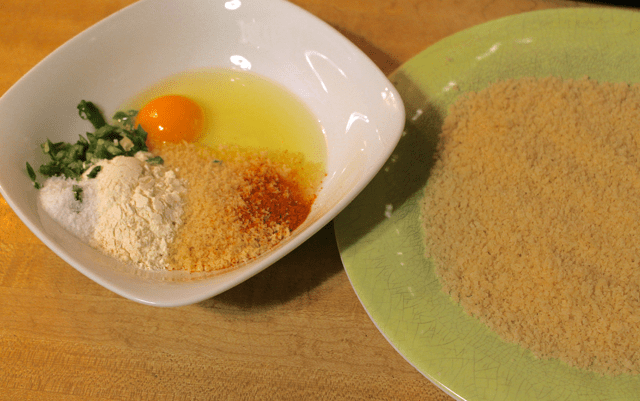 Have some more panko breadcrumbs on a plate, ready to coat the patties, once they’re mixed up and formed. Add a squeeze of lemon to finish the seasoning. Pulse the mixture until the shrimp become paste like. Combine the chopped shrimp with the shrimp paste mixture and form burger sized patties. 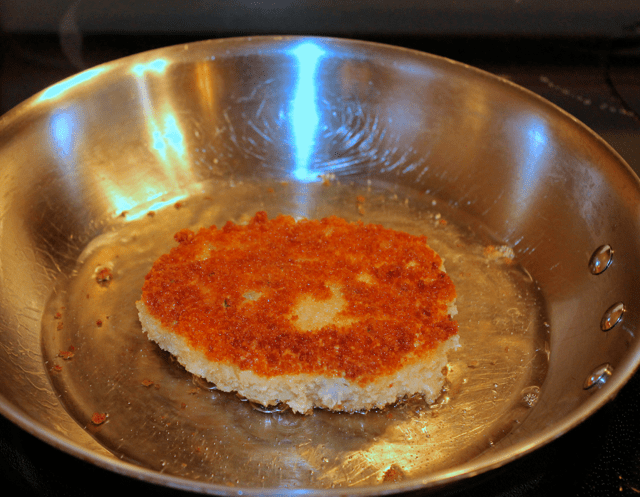 Coat the patties with the panko breadcrumbs on both sides. Place the burgers on a tray and set in the freezer to firm up for about 30 minutes. Note: The shrimp burgers freeze very well for later use. That makes them a great make ahead meal. When the burgers are firm, heat some oil in a skillet over med/high. Once the oil is hot enough for frying, cook each burger on both sides until browned and crispy. The internal temp should be 120 degrees F.
Chow Time! If you’re a shrimp lover, I’m just going go ahead and say, you’re pretty much destined to fall in love with these shrimp burgers. They have the best texture inside and out. Or is that outside, in? Either way, ya gotta give ’em a try! They’re just too good to pass up. Enjoy! Don’t forget to let us know how much you love them, too. Just leave a comment in that little box below. We’d love to hear from you! Make it a fantastic day and as always, keep it delicious! Place one half of the shrimp in a food processor along with the flour, panko, green onion, salt, cayenne pepper and lemon juice. Pulse until the shrimp becomes a paste. Chop the other half of the shrimp roughly. In a large bowl, combine the shrimp paste mixture and the chopped shrimp. Form four burger sized patties. Place the cup of panko breading on a tray. Coat the burgers completely with the breading. Place the burgers in the freezer for 30 minutes. Heat the oil in a large skillet over med/hi. Test the oil by dropping a bread crumb in to make sure it's hot enough. When the oil is hot enough, cook the burgers on each side until golden brown and crisp. The internal temp should be 120 degrees F.
Serve the burgers on your favorite buns with Chipotle mayo. Total Cook Time is about 12 minutes per burger. Combine all ingredients and chill in refrigerator until ready to serve.